Thrive Parenting would like to thank Jennifer Birch for writing this article for us! We hope that you find it useful. Our kids are growing up in a startling time one that sadly, their parents may not be completely familiar with. Every day, kids are discovering new ways to connect and new platforms through which they can experience the world around them. It's harrowing to think that nowadays, they can use their phones to send messages and pictures that nobody will ever trace, affording them privacy that generations before them could only have dreamed of, while making it all the more difficult for parents to keep an eye on them. How much time do your kids really spend on their phones? Recent studies have shown that adults now spend more time on their phones than they do watching TV, and things may have come full circle for us. With too much gadget usage said to cause everything from delayed cognitive development and dulled reflexes, we now worry that our kids are spending too much time on their phones, just as our parents worried that we were spending too much time watching TV when we were younger. But all this time spent on their gadgets on the internet can have more dire consequences, affecting even the psychological development of the child. With so much information available on the internet, it's easy to access things that aren't meant for younger audiences, and the veil of anonymity afforded to those on the internet puts our kids at risk of cyber-bullying. Luckily, there are some small things you can do to make sure that your children remain healthy and happy, even while living in an age dominated by gadgets. On TV and on Youtube, we see pop icons becoming less and less "family-friendly", and our children are exposed to these every single day as well. The best way to counter the negative effects of these icons is to talk to your child about their role models. Talk to them about what a role model should be, and help them find better role models. In recent years, we've seen some great names break the mold and emerge with truly remarkable characters, which your kids could turn to for inspiration. Credible Likeable Superstar Role Model might be a good start, an award-winning show that's captured the hearts of parents everywhere. The show features a "modern heroine", which Tootsa MacGinty describes is "not the over-sexualised-material-disney-girl that seems to have become the norm, but someone who would inspire our younger female generation". Find alternatives like these to counterbalance the people your children encounter on the internet. Kids work best when given explicit instructions, and while they may be opposed to it, implementing a set window of time when they're allowed to use their gadgets can be extremely helpful. The world's leading tech CEOs actually ban their kids from using gadgets altogether, recognizing how difficult it is to manage and how distracting it can be. But if you've already allowed your kids to use smartphones and other gadgets before, simply sit down with the kids and talk about the possible schedules you can implement. There are many apps that you can use to help get your kids to stick to a schedule, like the revolutionary DinnerTime App, which lets you control your kids' devices remotely, instructing them when it's time for bed (or some other activity) and locking the phone so that they know they need to stop. What's really important is that you both come to an agreement when setting the schedule. Have you ever struggled with your kids spending too much time on their devices? What methods did you put in place to make sure that they stay safe while having fun on their mobile devices? Let us know! Exclusively submitted by JenBirch to Thrive Parenting! Pretending to be sick to avoid school, to coming home with new bruises and refusing to do homework - may sound like your typical child, but these could also be signs of bullying. Many parents fear that their child could be a victim and it's not always easy to know when it's going on. When I was studying for my Master's Degree I did a lot of research into bullying. Personally, the most devastating fact that I found was that teachers are usually the last to know that a child is being bullied. Thankfully this is not because we are incompetent, or we don't care but I still subsequently put my hand up to rewrite the bullying policy at the school I was working at to help the children to know what to do if they were bullied. How can you tell if your child is being bullied? Bullying hurts. Children who are bullied can experience a range of negative outcomes including depression, anxiety, bedwetting, social withdrawal, lack of friends, loneliness, dislike or avoidance of school, poor academic performance and suicidal tendencies. What if you feel their behaviour has changed and you suspect it is because of bullying? In that case it could be a good idea to start a conversation. Ask if there are any children who are being mean at school to the kids in his or her class? Tell them stories of some things that happened when you were at school. This could help them open up. 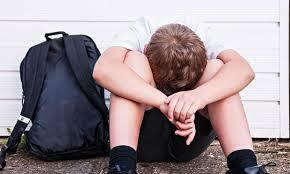 Why do some children try to hide the fact that they are being bullied? Because they are embarrassed or believe if they tell someone the situation will only get worse. What are the first steps a parent should take when they find out their child is being bullied? Remember that bullying is different to 'kids being mean'. Bullying is when one person or group targets another repeatedly. Find out as much as you can about the situation (who is involved, how often it occurs, who knows about the bullying) then reassure your child that this is not their fault (bullying can be like a form of brainwashing where children begin to feel that they some how deserve what is happening). Contact the preschool or school. Ask about their bullying policy and get the school to clearly outline how the situation will be managed. Ensure that there are regular follow-up meetings until you have reached a positive resolution. Get your child involved in activities that encourage independence, assertiveness and healthy peer relationships (e.g., sporting teams, cubs or scouts, dance, drama club). Encourage your child to behave assertively in threatening situations by teaching them specific skills such as responding to name calling (having ready and rehearsed responses is always helpful), making assertive statements ("That's fine if you think that but I do not agree"), and getting help from their peers (it is important that children feel they have someone who they can count on). Teach them to use body language and non- emotive responses.... such as standing up straight and looking the bully in the eyes and appearing bored. Teach compassion. Being bullied is not the child's fault. The bully has a problem with something in his/or her life. Ask them what they have already tried so far to get what they want. The child might say that they asked them to stop and the child who was being mean didn't listen. Ask them what has worked, what they have seen others do/ what would a "role model" do? It is often easier for children to imagine someone else (maybe another child at school/kindy, or a character or sports star that they like and respect) dealing with the situation first. The next step is to imagine themselves doing the same. Ask your child what they teach them to do at school/kindy. Many schools are presently using the simple but effective High 5 Method. This is a problem solving method taught in schools to foster resilience, improved relationships and wellbeing of children. Sometimes children aren't being bullied, but see it happening to their peers. What can they do to help? Encourage them to be active bystanders. E.g. tell the bully to stop or they will report it. This is actually reportedly one of the best ways to stop another child being bullied. You probably purchase school supplies before the very first day of school, but there are other ways you and your child can prepare for the new school year. Be sure to attend the meet and greet so you can learn about classes, teachers, opportunities and the school and class expectations. Also, one of the best ways to prepare your child for school is to set goals for the first term. You can do this together, display your goals somewhere where you both will see them. A new school year can be a bit intimidating. Even confident kids may convince themselves that they won't fit in, or that they'll be overwhelmed by a new year level, class situation or school, homework and going to school with older kids. Don't let your child play mind games with him/herself and avoid saying things like, "School is going to be much harder this year, you are going to have to work very hard." Help him/her adjust by pointing out the upside of school, and how well prepared he or she really is. A daily routine is one of the best ways to help your child adjust to the school day. Try to get your child back into the school schedule a week or so before the first day of class. In addition, be sure to keep a calendar of daily events, assignments, and other commitments. Help your child formulate a daily schedule, as well as a weekly schedule, in order to stay on top of the new school year. I wish you and your family a fantastic start to the school year. Is your child ready for Prep? For your child to get the most from Prep, the first things they will need to be able to do is sit in a chair, listen and follow directions. Teachers report that unless a child has mastered these skills, they will find it difficult to learn. Children also need to have settled behaviour, the ability to socialise in groups with peers, mature language skills and the skills to engage with drawing and books. These abilities are the precursors of the five domains of the Australian Early Development Census (AEDC) which measures early childhood development: (1) physical health and wellbeing; (2) social competence; (3) emotional maturity; (4) language and cognitive skills; and (5) communication skills and general knowledge. It is estimated that almost one third of children entering Prep are developmentally vulnerable on at least one of these domains. Children who arrive at school developmentally vulnerable are more likely to have trouble catching up, and face literacy and numeracy challenges in their primary school years. Even bright children can have developmental immaturities. While bright children are often able to develop a range of coping strategies, these strategies frequently stop working as they progress through school and encounter harder work - typically around Year Three. Here are five easy things you can do to assist your child's development and establish a strong foundation of motor, sensory-motor and language skills to get them ready for the classroom. Swinging, spinning, rolling, tumbling and zigzag running are all movements that stimulate and develop the vestibular system. These movements stimulate the vestibular system, the unifying system in our brain controlling our sense of movement and balance. The vestibular system helps our brain coordinate information from our sensory systems, in particular eyes and ears. A well-developed vestibular system assists concentration, language development and academic learning. Games, puzzles, drawing, painting, dress-ups, story-telling are some of the many activities considered 'play'. Value and encourage the time your child spends playing. Play assists a child's development by building a number of life skills. Depending on the activity, it can be a testing ground for language and reasoning skills, and as such a foundation for future challenges such as literacy, maths and science. 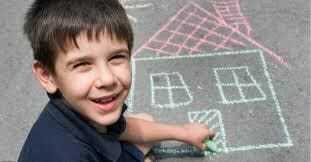 Play develops a child's creativity, and can encourage a lifelong love of learning. Moreover, exposure to humour and playful attitudes assist social development. Set and enforce limits on your child's 'screen-time'. 'Screen-time' is the total amount of time your child spends watching television or DVDs, or looking at/playing with devices such as computers, video games, iPads and smart phones. The Australian Government Department of Health's National Physical Activity Recommendations suggest limiting screen-time to one hour per day for primary school children, and no more than two hours per day for secondary school children. You may also choose to remove sources of screen-time from your child's bedroom. Despite the increasing availability of child- and learning-focused apps, looking at pictures on a screen does little to assist speech and social skill development. While some apps and computer programs do have real merit, it is important to understand that the time young children spend on technology is time not spent on and forever lost to the play activities that develop skills for successful learning. Limiting and paying attention to your child's screen-time has many benefits to their health, enhancing quality of sleep, reducing the risk of obesity, improving cooperative behaviour and performance at school. Avoid foods with artificial additives. If your great-grandmother didn't eat it, it probably isn't real food! Packaged foods (e.g. poppers, sweet yoghurts, snack bars, instant noodles) are often sources of artificial additives. Consider alternatives - for example, a piece of fruit and drink of water instead of a popper. While it's important to eat both fruit and vegetables, veggies have less sugar than fruit, and a broader range of nutrients. A veggie to fruit ratio of 5:2 is recommended. Children can have treats, but these should be occasional. The types of food your child consumes affect their concentration, learning, behaviour and sleep. Take the emotion out of mealtimes by planning a weekly menu and putting it on display so there are no surprises! Allowing a child to say 'no' increases their control over the menu, so be clear on the rules: parents, along with some input from the child, decide what the family eats. Remember that you may need to expose a child to a food thirty times or more before they attempt to try it! Sit at the dinner table as a family and talk. You may like to talk about different tastes and textures as you share your meal, as a way to educate your child about nutrition. The dinner table is a great place to practice many of the basic skills needed for Prep and school - for example, sitting still in a chair, listening and taking turns with conversation. 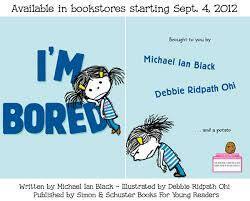 What to do when you hear "I'm bored!" It is very easy to fall into the trap of feeling as though you need to try to think of solutions or become 'the entertainment' for your children when you inadvertently hear the dreaded phrase, 'I'm bored' or worse, experience what they actually start getting up to when boredom sets in, the fights, the mess, the frustration. Following are some ideas to help you with your bored children that are designed to stop you getting sucked into coming up with endless ideas, or spending buckets of cash keeping them entertained. 1. Computers, video games and T.V are great, they can be educational and can teach hand-eye co-ordination, but there is a down side. They are actually passive activities that limit creativity. Have you noticed your children will misbehave straight after they finish watching TV or playing on the computer? This is often because their brains are having trouble transitioning from passive to active. They might not be bored; their brain just needs a re-boot. Get your children into the routine of jumping on the trampoline, running around the yard, doing star jumps etc for a few minutes after a passive activity. They will be more likely to be able to think of something to do themselves then. 2. In the mornings or at the beginning of each week, brainstorm activities together that they can do when they are bored. Get them to write a list or draw pictures illustrating the ideas. When they come to you to say they are bored, get them to check the list and choose something from there. 3. Listen, and acknowledge that you have heard what they are saying, without trying to fix it for them. Say, 'I'm sorry that you are bored. Let me know what you come up with to do.' Or ' I understand that, I feel bored sometimes myself. 5. Say that you would be very happy to show them how to vacuum, clean the car, wipe the ledges etc. Maybe they will want to, or maybe they will get as far away as possible and find something much more attractive to do. Time to be independent (but not Bored! ).